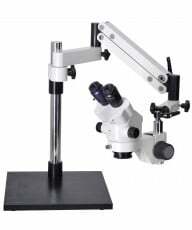 Compound Microscopes are also known as High Power or Biological microscopes. They are used to view specimens NOT visible to the naked eye such as blood cells. 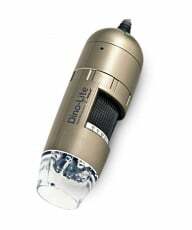 Objective Lens: Compound Microscopes typically, include 3-5 objective lenses that range from 4x-100x. 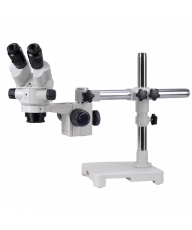 Combined with 10x eyepieces, total magnification ranges from 40x-1000x. Immersion Oil: Specimens are viewed after they have been mounted on to glass slides. When using 100x objective lenses or higher, immersion oil is used to concentrate light and increase resolution of the specimen image. Stains are useful for enhancing contrast in the specimen and, therefore, in improving the viewing experience. Mechanical Stage: A mechanical stage is useful at higher magnifications (400x plus). It enables you to move a slide easily over fractional distances where fingers are too clumsy. 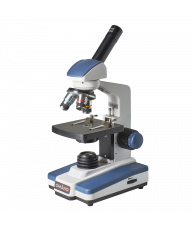 ***BEWARE Compound microscopes sold with 2,000x magnification. They are selling False Magnification that is characterized by significantly reduced resolution. 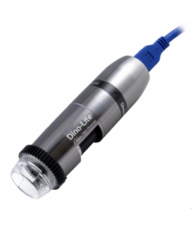 Read this short article on False Magnification.